I am the girl people don’t really know. I’ve been through a lot and I found my peace and talent in nail art. TipGang, represents every person out there doing nails! From getting their nails done, to following nail art blogs to just supporting us at our events. 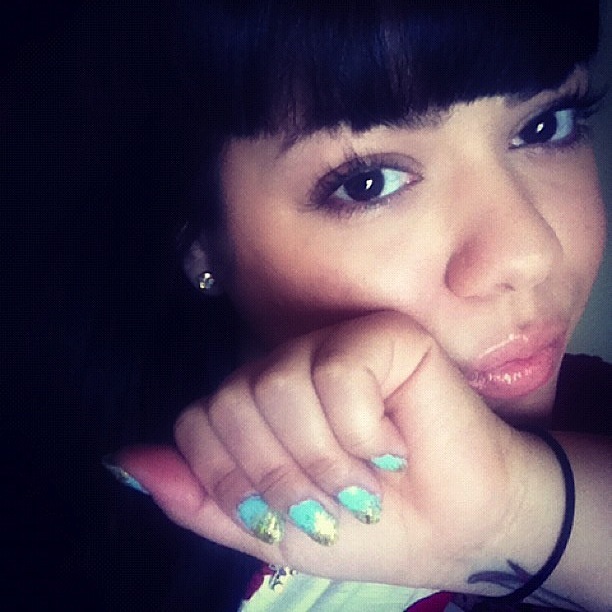 I want Tipgang to be more than just nail art. It’s simply a “brand” that represents a whole lifestyle. What kind of music do you like? Who are you currently listening to? I am a NYC based, Puerto Rican that lives in Harlem. First time considering nail art? 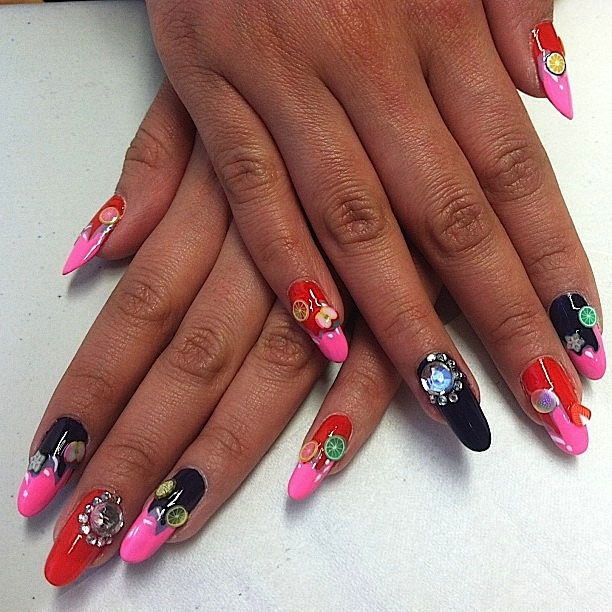 When did you experience your first nail art manicure? Being a diverse nail artist, describe your artistic style, and what free-style nail design do you like to re-create the most? I love freehand. Getting into detail. I like to come up with an idea as opposed to recreating someone else’s work for my clients. As far as free-styles, I like street style the most. Basically, any art that is inspired by urban fashion or music. It’s all dope to me! Recap us with some events that, TipGang was a part of? I have worked at; Adidas pop-up shop, Gap, Green Pointers events, 4/20 pop-up shop nail event in, New York. In the near future- I would like to do photo shoot & videos….I am obsessed with Jordan’s and Nike!! If they were interested, I would be open to any of their nail art ventures. I really love to wear sneakers. Coming from NYC, who would you eventually want to work with in the nail industry ? WAH nails! I love their creativity and concepts. In regards to paint brushes, Britney Tokyo! So many girls, and I am a fan of them ALL. 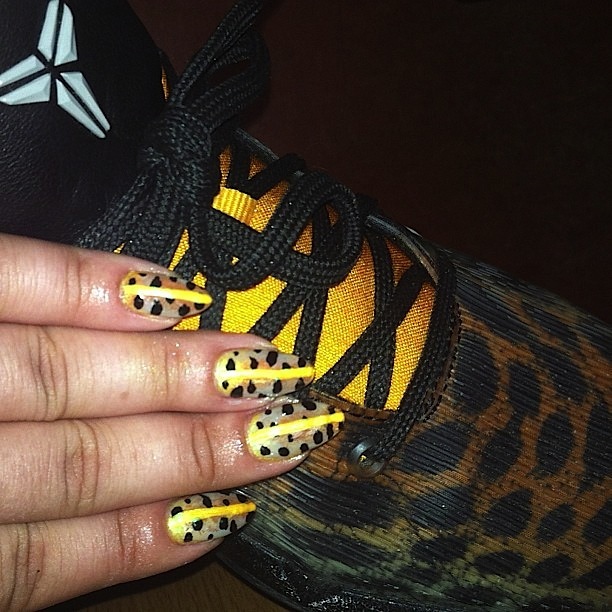 To name a few…Nyphmo nails, Nail Swag, Jessica Washick, Astro Wifey. Who are you following on Instagram? 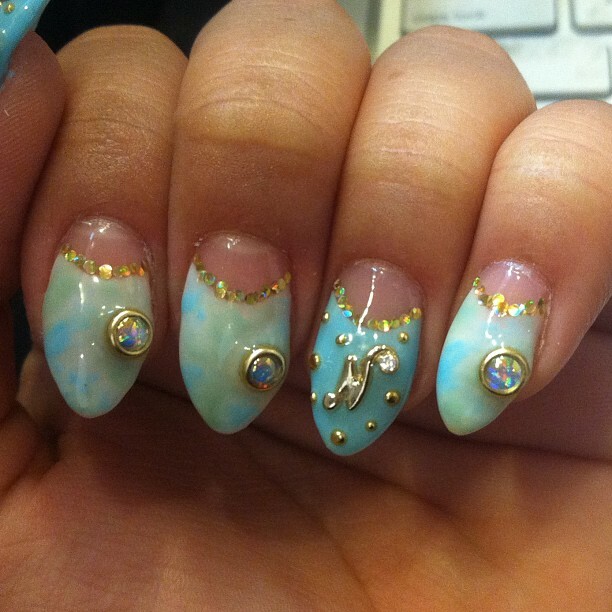 Favorite nail artist(s) ? RiaNailz, Racqstar nails, Thisisvenice , Astro Wifey, Britney Tokyo, Ciao Manhattan, Pretty Project… Uugh just sooo many! I don’t have a favorite I just love them all. Bonus: How do you feel about sexual equality? It’s no one business! What ever you choose to do be behind close doors, it’s you. I agree! @blondie there is more to come of these talented ladies!